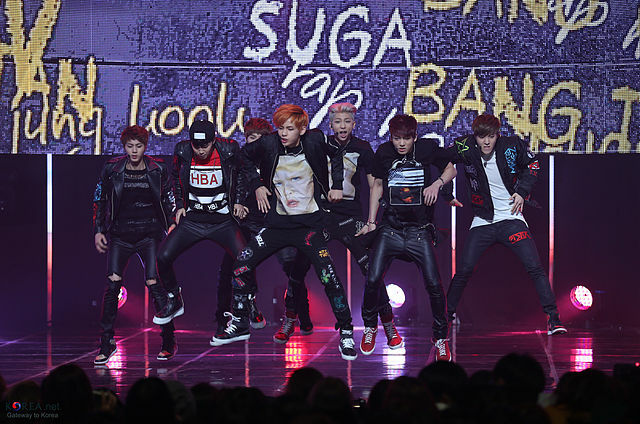 BTS, also known as the Bangtan Boys, is a seven-member South Korean boy band formed by Big Hit Entertainment. They debuted on June 12, 2013 with the song "No More Dream" from their first album 2 Cool 4 Skool. They won several New Artist of the Year awards for the track, including at the 2013 Melon Music Awards and Golden Disc Awards and the 2014 Seoul Music Awards. The band continued to rise to widespread prominence with their subsequent albums Dark & Wild (2014), The Most Beautiful Moment in Life, Part 2 (2015) and The Most Beautiful Moment in Life: Young Forever (2016), with the latter two entering the U.S. Billboard 200. The Most Beautiful Moment in Life: Young Forever went on to win the Album of the Year award at the 2016 Melon Music Awards. When everything seems to be perfect… When you have given him all you've got… Just when you thought nothing's gonna go wrong, He just had to prove you wrong and leaves you broken. I swallowed. "Let me go." I tried to sound demanding and unafraid. A slight quiver in my voice betrayed me. "I can't do that." The man above me came closer. His features fully in view. I started to notice the tiny birthmarks on his skin. "Why not?" I gave up on sounding brave. "Because Jungkook." His hands caressed the hanging strand of hair in my face pulling it back. "I love you." Characters Park Jimin, Jeon Jungkook, All BTS members. What is a soulmate you might ask? Your soulmate is supposed to be a person you share an intense and unexplainable connection with the moment you first meet. Your soulmate will understand you better than anyone else in the world because you share the same mind, heart, and soul, hence the term soulmate. Soulmate bonding is different for every individual, but when the click happens you will know. When it happens you immediately feel this connection like you've known the person your whole life. Jungkook is on the way to become the top student at Seoul National Dance Acedemy. He's also unknowingly won the heart of a certain Park Jimin, who has made it his personal mission to make sure Jungkook never gives up on himself... but that may prove to be more difficult than he first presumed when the tragedy of a lifetime literally hits them head on. "Th-they broke m-my wings." the small boy sniffed. "I-it really hurts." he peers up at the little girl in front of him. She closes in on the vulnerable boy; her little hands spread out to cup the small boy's pink cheeks. Kim Aeri and Kim Haneul are normal children, lead a normal life. Little that public know they have 7 Fathers!